After the tragic genocide in Rwanda, ethnicity is a subject that still shapes the political conversation and policy making in the country. Many are familiar with how the narrative of the genocide usually surrounds the Hutu and Tutsi tribes. 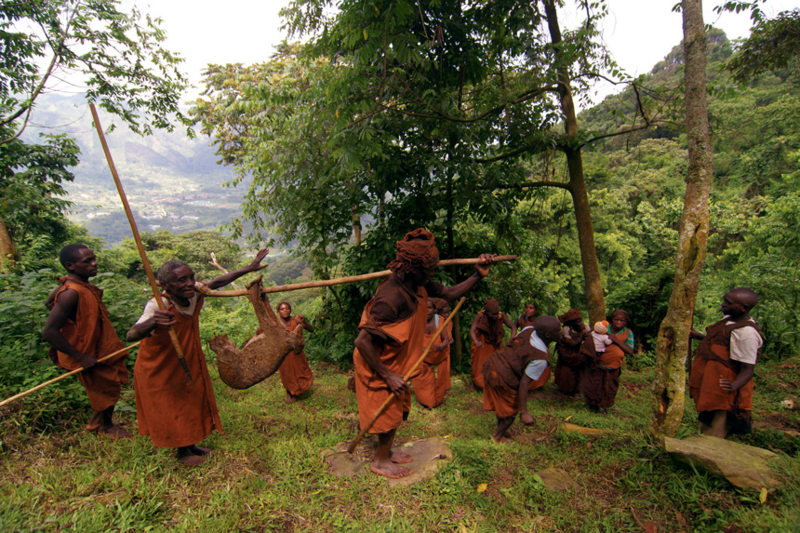 Although they were the main parties in the conflict, there’s a third ethnic group that has always been marginalized in Rwandan society – the Batwa tribe, often simply referred to as Twa. Twa people are a tribe of Pygmies who have always been discriminated against in Rwanda. With a population of around 33,000, they make up only one percent of Rwanda’s population. 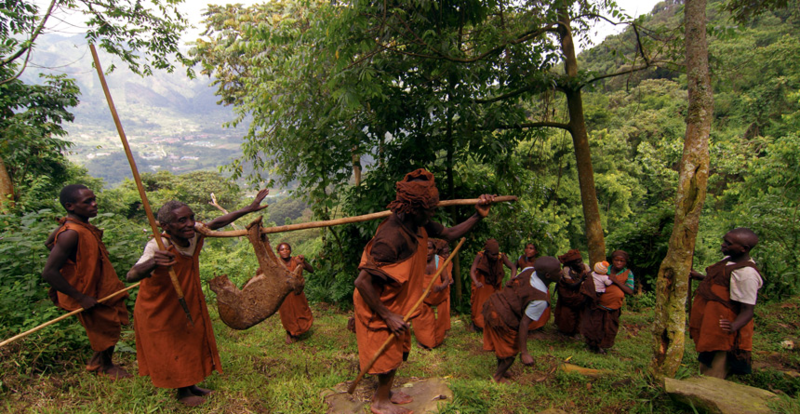 Twa were the first inhabitants of Rwanda and made a living mainly as hunter-gatherers in the country’s forests. Later on, the Hutus arrived and took to farming, while the Tutsis appeared as a stronger military power and established a monarchy. This monarchy relied on the Twa to obtain valuables like ivory and leopard skins from the forest, as well as acting as a voice of the people. The separation of Hutus and Tutsis during the colonization period of Rwanda created a marginalization of the Hutus, leading to the devastating 1994 genocide where close to a million Rwandans were killed. This event is often referred to as the genocide against the Tutsis. Although Tutsis were certainly the main target during the massacre, many reports do not give enough details on the third victims – the Twa. Approximately 10,000 Twa were massacred, decimating the small population. By the end of the Genocide, one-third of the Twa had been killed, mostly due to their relations with the Tutsis. According to Human Rights Watch, some Twa were also responsible for killing Hutus. However, data concerning their role in the genocide is limited due to their small population compared to the Hutus and Tutsis. Conservation plans made the post-independence Rwandan government forced many Twa people out of their traditional home. This directly led to extreme poverty among the population, especially because the government gave no compensation afterwards. Subsequently, unemployment today remains high and most of the Twa have become potters as a source of income. 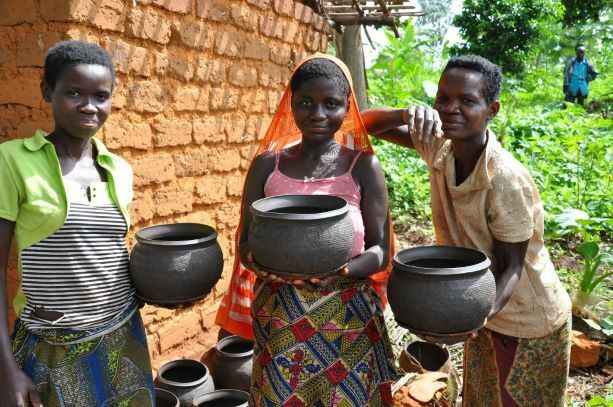 CORPORWA (Communauté des Potiers du Rwanda) or Rwandan community of potters is a non- profit organization that “works for the promotion and defense of potters’ rights in Rwanda”. According to a survey published on their website, 77 percent of the Twa are illiterate. Fifty-one percent have never attended school, 47 percent have no farmland and 30 percent are unemployed. With these reports, it is evident that the Twa are still greatly marginalized. What the Batwa population needs is proper representation in Rwanda’s government. However, under the current leadership of Paul Kagame, talking about ethnicity is a taboo, even in official documents. The refusal to acknowledge ethnicity by the government, coupled with the international lack of awareness about the Twa, means actively improving their condition is very difficult. The recent unfortunate history of Rwanda makes these policies on ethnicity understandable. Furthermore, the limited data on the population especially regarding ethnicity makes tangible assistance difficult. In order to assist impoverished ethnic groups such as the Twa to eradicate poverty and assimilate into the general population, first there needs to be some form of acknowledgement of the economic disparity that exists in correspondence with the country’s main ethnic groups. “Coporwa.” Coporwa – The Rwandese Community of Potters, 26 Sept. 2013, coporwa1en.wordpress.com/coporwa/. “Twa.” Minority Rights Group, Jan. 2018, minorityrights.org/minorities/twa-2/. Ashdown, Nick. “The Batwa: Rwanda’s Invisible People.” Intercontinental Cry, 3 Oct. 2013, intercontinentalcry.org/the-batwa-rwandas-invisible-people-19581/. “Leave None to Tell the Story: Genocide in Rwanda.” (Human Rights Watch Report, March 1999), Mar. 1999, www.hrw.org/reports/1999/rwanda/.